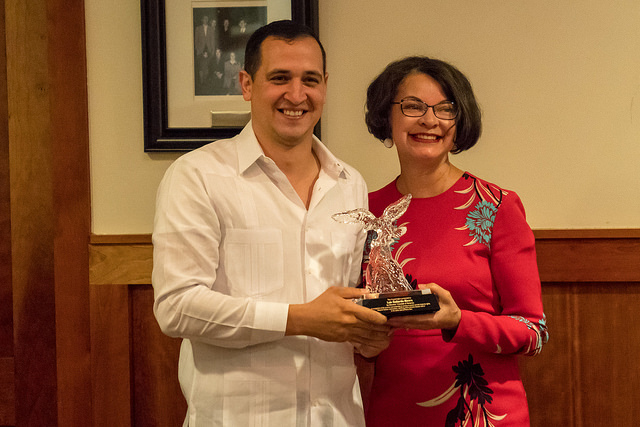 JACKSONVILLE, Fla., February 6, 2018	(Newswire.com) - Owners’ Counsel of America (OCA), a nationwide network of leading eminent domain attorneys, announces that it has presented its highest honor, the Crystal Eagle Award, to Luis Gallardo-Rivera of Puerto Rico, a person who has consistently demonstrated his passion and commitment to the protection of private property rights in his native country of Puerto Rico. Working with other dedicated citizens who believe that the residential communities of Puerto Rico need not be sacrificed in the name of economic and private redevelopment projects, Luis Gallardo-Rivera has fought diligently to transform and modernize Puerto Rico’s eminent domain laws. 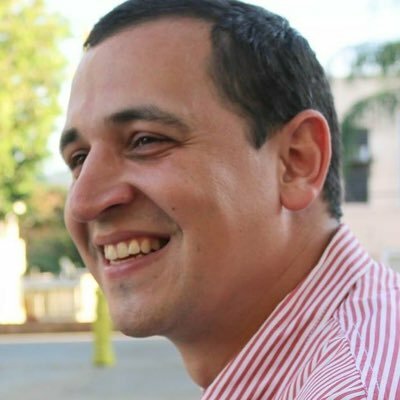 In 2012, as a student in the pro bono clinic of the University of Puerto Rico School of Law, Luis and others worked closely with Professor Maria Hernandez to draft municipal ordinances designed to curb expropriation abuses at the local level. Later, under the mentorship of Professor Adi Martinez, Luis participated in the investigation and legal filings that led to the Supreme Court’s decision in Guaynabo vs. Commonwealth of Puerto Rico, finding that the rights of hundreds of families living in the community of Vietnam had been violated by their unlawful displacement. 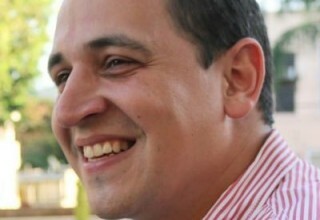 Later, in 2015 Luis was instrumental in drafting and lobbying for the passage of House Bill 2321, a major piece of legislation designed to update and transform the eminent domain laws of Puerto Rico in order provide private landowners faced with the taking of their property greater legal protections and due process safeguards. Although House Bill 2321 was tabled without being acted upon, the hard work of Luis and other dedicated individuals brought public and media attention to the critical need for eminent domain reform. In 2017, Luis also fought against House Bill 911, legislation that would have rolled back earlier hard-fought eminent domain laws requiring a citizen referendum before takings could proceed in certain special communities within Puerto Rico. The Crystal Eagle Award is reserved for individuals who have made a substantial contribution toward advancing private property rights. 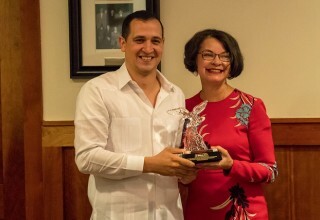 By presenting the award, OCA seeks not only to highlight and honor an individual’s dedication and efforts to further the cause of private ownership but also bring attention to private property rights, the use and misuse of eminent domain and the core beliefs held by OCA and its members that the right to own property is constitutionally guaranteed and fundamental to society.